Getting the plug caps off the spark plugs has been causing some folks a bit of consternation, so, I thought it would be worthwhile to note how I've dealt with this problem. I've found the tool in the tool kit to be adiquate for the job but not so if you use it a lot. 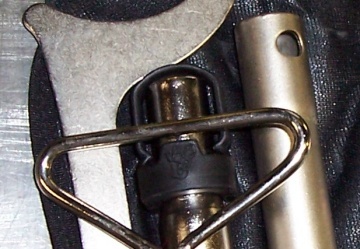 The little tool almost "hides" in the tool kit. The plug cap tool layed out. If your kit doesn't have one, the BMW part number is 12 12 2 306 064. If you have access to Beru parts, the Beru number is 0890 300 009. The BMW special tool can be ordered from BMW as well, it's number is 12 3 520. 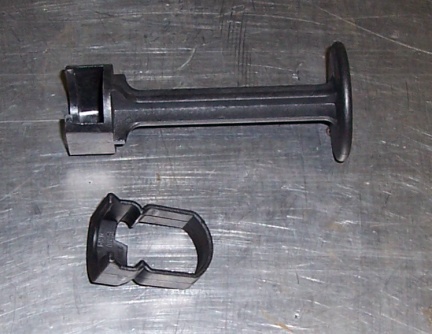 The BMW special puller as well as the "one finger" plug cap tool from the tool kit. To get the little "one finger" puller onto the plug cap, a kind of Ice Cream "scooping" action is needed. 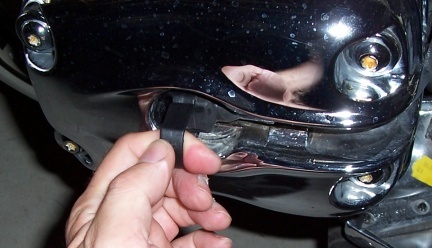 Tip the tools open end onto the front of the plug cap and "scoop" it into place. Scoop the tool onto the top of the cap. What is trying to be acheived is scooping the tool onto the two ribs on the sides of the top of the plug cap. 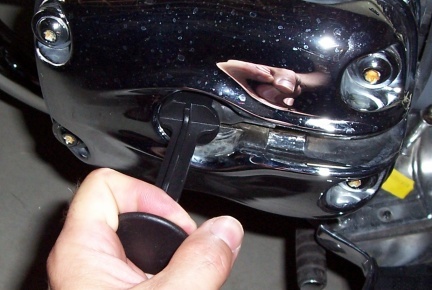 Once the tool has been sucessfully slipped onto the cap, pull the tool and cap straight out. If the cap has never been pulled before or has been put on dry, the cap will be a little reluctant to come off. Pull the tool and cap straight out. 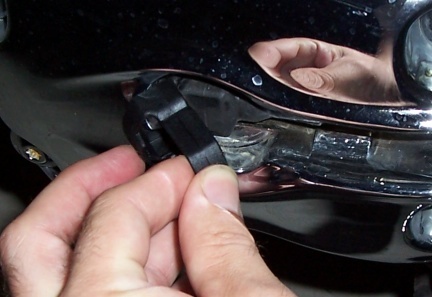 Using the BMW special tool, the action or movement to get it on the plug cap. The only difference here is that the BMW special tool is built heavier and will be a little harder to get in. Again, once the tool has been sucessfully slipped onto the cap, pull the tool and cap straight out. 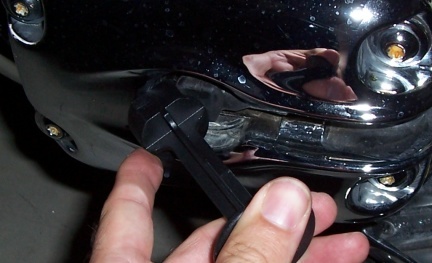 Before I slip the cap back onto the sparkplug, I'll usually smear a bit of BMW multi-purpose grease around the inside edge of the plug cap so next time the cap will come off easier.